I bet you could convince LH to build one for ya, they like outdated concepts in weird places. Lmao. I think there's a better chance of an Apple store coming than that as someone mentioned a few weeks ago as a suggestion. Sad to see all the retail that the All-Star game brought be gone and forgotten about. Thank you! That picture was taken today! I agree! But I just wish there was actual retail stores in the EpiCentre all the time! How soon will EpiCenter(re) be replaced with tower? Not likely in the short term. It is a complicated project as a condominium where one owner owns the retail, the hotels own their sites so unless the main owner does something I would say sometime in the future but years off. Jacksonville Landing was recently purchased by the city to be demolished. It struggled for 31 years. I didn't I was just trying to figure out why that was the topic...I would hate for Charlotte to lose that. It beings more life to Uptown than anything. I actually wish they could make a second one in another location. Near the stadium and ballpark would be great. That area sees a lot of foot traffic. I know Tepper is going to potentially build his idea of an entertainment district somewhere near his stadium, but I always envisioned a LA Live type of atmosphere where CTC is now (Also where I would locate the Jordan/Nike Brand Experience (Half museum & half store)). Anyone been to Orlando and have seen the huge NBC Sports Grill & Brew, I'd put something like that there too. I picture people flooding out of Spectrum center and that area just becoming a super cool strolling/entertainment district. I know some on here don't like the signage and bright lights, but I say bring em on (in the right locations) and those couple blocks I consider our entertainment district so to speak (currently). I like that Times Square effect and would welcome more video boards. 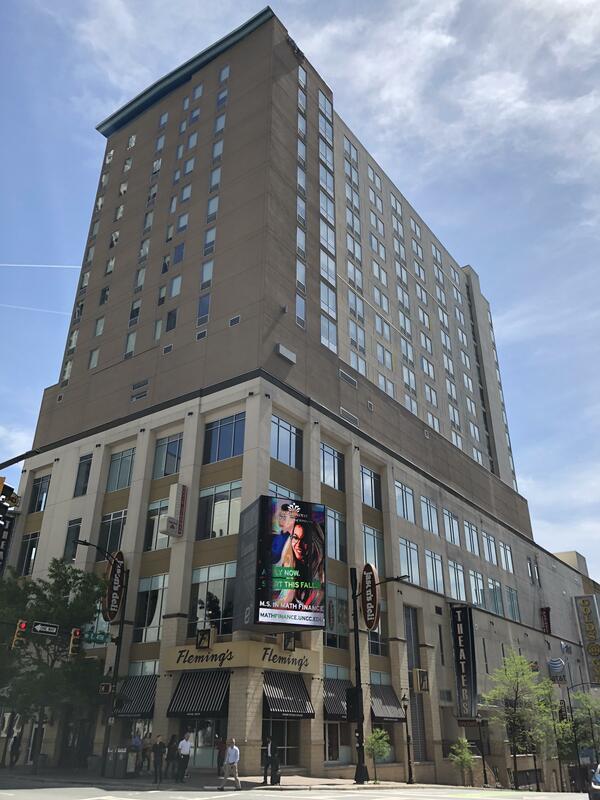 The future Moxy Hotel next to CTC fits that trendy/party vibe too. 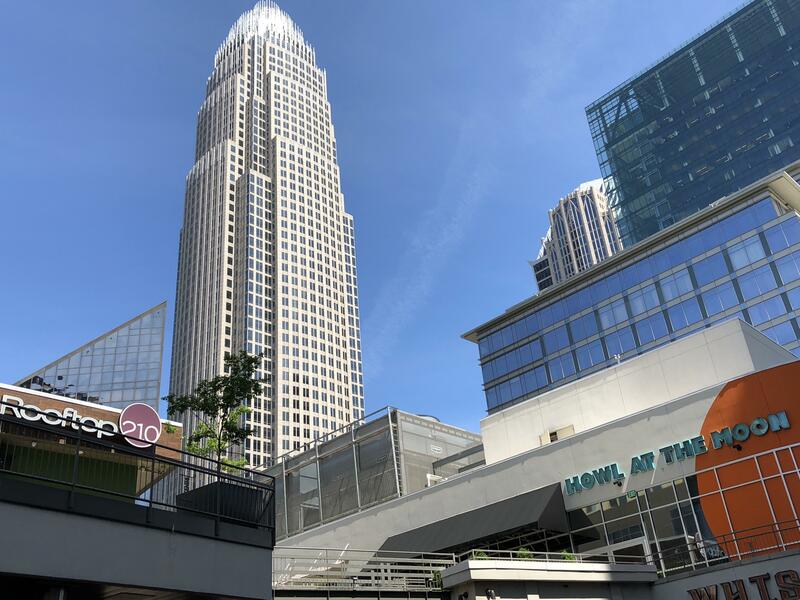 I like that stretch of Trade being our entertainment district bc it's in the core of Uptown and the vibe in any 2 block direction from Trade & Tryon is unparalleled. 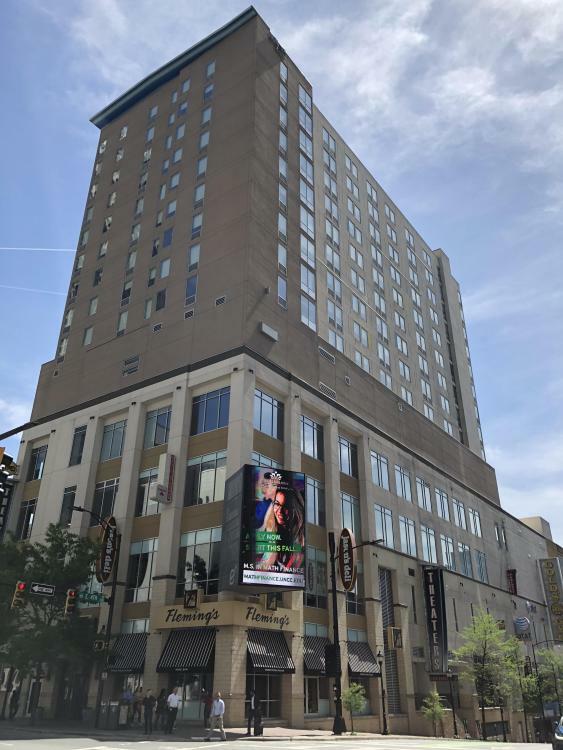 I'm glad the talk has shifted away from possibly turning EpiCentre into something else because I don't want to imagine a Charlotte that loses this gem (And yes it IS A gem). Now all the gripes about its state of disrepair do have validity, there should be a real remodeling done, but the solution is not and will never (in our lifetimes) be to shutter it and build taller. Uptown's only sizeable movie theater, the only bowling alley uptown, multi-story retail that runs the length and breadth of the property instead of on the outer edge, multiple nightlife venues, the extremely popular diner... My point is, no one with any understanding of what makes a city a destination should ever want this gone as opposed to improved. Personally if they could fill the old Coldstone place with a new dessertery (bakeshop gets my vote), lure Express back and also put in another non-expensive apparel store like maybe AE or something similarly accessible, this place would be perfect to me. I love that it attracts office workers, suburbanites, bus riders, the rich all the way down to the riffraff. That's what makes it the asset it is. Please no more pricing out the "poor"s even just by circumstance, Charlotte needs less sterile and more elbowrubbing. And more relevant to the latest discussion, if they spearheaded a similar clustered entertainment block I'd want it to be on the Northside (First Ward) and be branded/populated with businesses that provide a good counterpoint to Epi's lineup. If the first retail superblock we have is more attuned to bars, clubs and entertainment, let's build one that abuts Levineland (and makes him look even worse incidentally, lol) and lure a combo of dry goods and specialty shops. 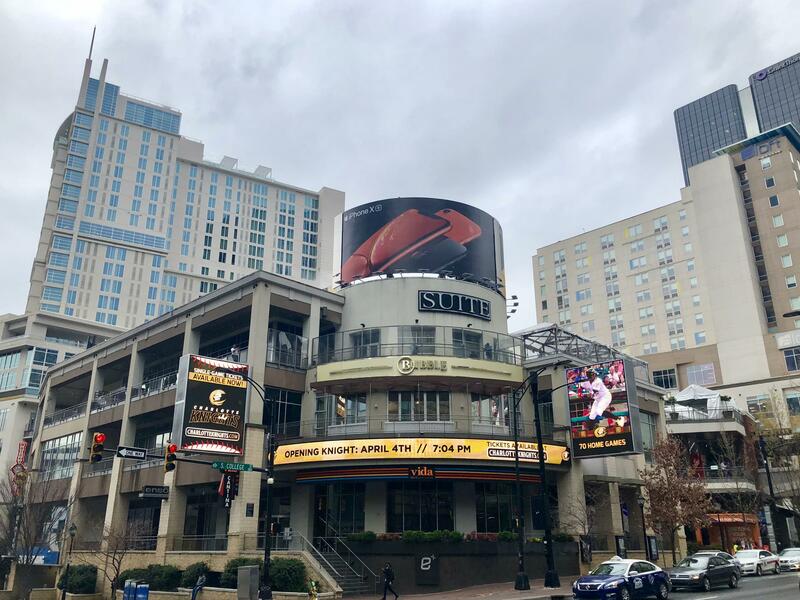 EpiCentre can then gradually evolve its upper club/nightlife spaces to be relevant to basketball or sports since it's closer to both stadiums and the arena, and the second iteration can bill itself according to local charm and added retail density. Make them like brothers from separate mothers. I realize that's more up to individual businesses and where they ultimately WANT to be, but it's a pipe dream that still makes more than its share of sense. Now even though it's JUST awkwardly-enough in between the Blue and Silver line stations to be quite as transit-oriented as epi (unless maybe like Atherton, they'll add a stop at 16th Steventually?).. Maybe in 10-20 years the entire site will be an innovative combo of new and old developments. Two people shot in an elevator at the hotel!! That could be a first step toward pulling major retail away from suburban malls. R.I.P. Epicentre Five Guys. Hopefully Shake Shack will jump on this spot, or maybe @KJHburg can get us a Krispy Kreme? I am telling you who could afford this high rents and stay open late that would be a McDonalds but it seems uptown Charlotte is trying to push out all fast food especially burger and would rather have vacant retail spaces. Affordable lunch options are needed for diversely paid workforce. Big cities all over the US, Europe, Brazil have dozens of McDonalds, KFC, Burger King (moreso brasil & Europe) subway, etc in their downtowns. People in this town for some reason think fast food attracts only homeless. Let's get the homeless into treatment centers and off the streets and train them for a job that is a real solution, not leasing to fast food because it attracts "undesirables" people like me who sometimes want an lunch under $6 is not a solution. Why not a Wendy's? Here is some simple math $0 in rent for a space advertised at $40 a foot gets you ZERO dollars. 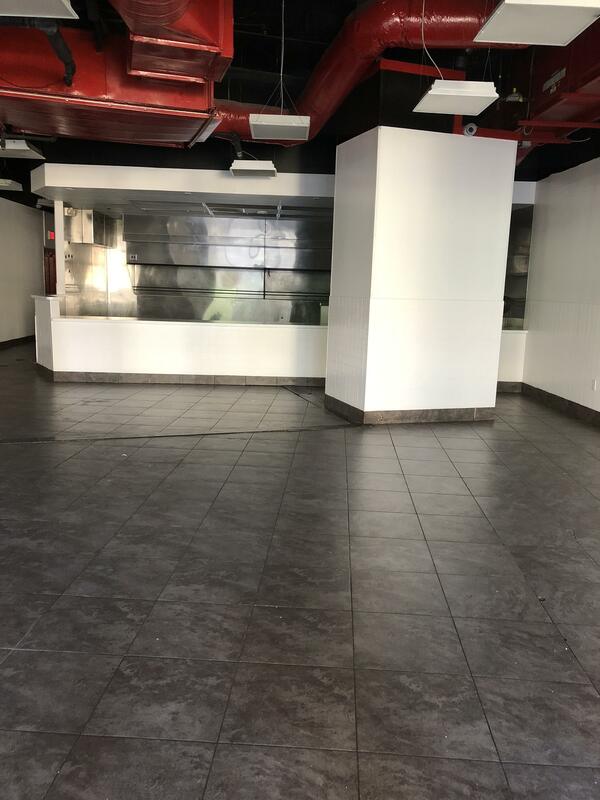 The space at the City Green Parking garage next to the Springhill Suites has been vacant for 10 years! How about some cheaper rent for entrepreneurs or even an uptown thrift shop benefiting charity employing possibly homeless?